When you are buying Bronx real estate, don’t just think about how the home will work for you in the immediate future. If you have a Westchester home for sale, it is important to appreciate the significance a first impression has on your potential buyer. When buyers drive up to your property and take their first look at your home, they will instantly be forming ideas about your house and how it might fit for their family. When you are trying to entice a buyer to make an offer on your house, you must consider the curb appeal – how your house looks from the outside, or while standing on the curb – of your home for sale. 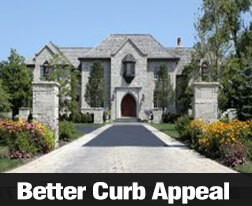 In fact, some surveys show that curb appeal can affect a buyer’s decision even more than price or square footage. Below are seven simple and inexpensive things you can do to improve your home’s curb appeal. Plant a few shrubs or decorative flowers in the front yard to bring color to your lawn. Is your front door looking a little worse for wear? Give it a fresh coat of paint or replace it with a new one. Keep your grass well watered so it appears green and lush. Remove anything your pet leaves lying around, such as bones, chew toys or droppings. Take a look at your gutters. If they look damaged or are hanging loose from the roof, be sure to have them repaired before showing the house. Clean up your flowerbeds by removing weeds and trimming overgrown plants. Add a bench, a garden ornament or a couple of beautiful pots to make your front yard more attractive. These are just a few ways you can improve the curb appeal of your home for sale and make a great first impression on buyers. A good next step for preparing your home for sale is inviting a trusted, licensed real estate professional to your home for a preview. An agent’s experience in the real estate market can help you plan your strategy to get top-dollar for your home and help you improve the curb appeal at the same time. The National Association of REALTORS® released its monthly Existing Home Sales report on March 21 and gave investors and home sellers something to cheer about. While February sales of existing homes didn’t meet investor forecasts of 5.00 million homes sold on a seasonally adjusted annual basis, the actual number of existing (previously owned) homes came close at 4.98 million homes sold. This number surpassed January’s revised reading of 4.94 million homes sold by 0.8 percent. Sales of existing homes comprise approximately 85 to 90 percent of homes sold in the U.S.
Investors watch existing home sales for evaluating housing markets and short-term economic trends related to home purchases such as goods and services associated with home ownership. Existing home sales have increased by 10.2 percent as compared to 4.52 million existing home sales for February 2012, and have increased for 20 consecutive months. A short supply of homes available for sale and better job prospects are creating more demand for homes. In February, available homes increased to a 4.7 month supply of homes, which is up from January’s 4.3 month supply of available homes, the lowest number since May of 2005. With that said, current listed inventory of homes is 19.2 percent below last year’s 6.4 month supply of available homes. Increasing demand for existing homes also suggests growing competition between buyers for available homes. Getting pre-approved for a mortgage before making an offer on a Manhantten home can help buyers, as sellers know that pre-approved buyers won’t have potential delays related to the mortgage approval process. The National Association of REALTORS® reports that the national median selling price for existing homes of all types was $173,600, which is up 11.6 percent year-over-year. This suggests that potential homebuyers may want to act now as mortgage rates typically increase along with home prices. Northeast: The median selling price was $238,800, 7.6 percent higher than for February 2012. Midwest: The median selling price was $129,900, which is 7.7 percent above the median selling price in February 2012. South: The median selling price was $150,500. This represents a 9.3 percent increase since February 2012. 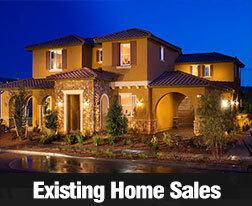 West: The median selling price was $237,700, a substantial increase of 22.7 percent over February 2012. Multiple buyer bidding and limited inventory choices are fueling higher prices for existing homes, particularly in the West. This is the strongest year-to-year rate of growth since November 2005, when existing home prices had increased by 12.9 percent as compared to the previous 12 months. The first sign of mold you notice may be a musty smell in your home. After looking around, you spot what looks like mold — don’t panic! You can remove unhealthy mold from your house without it costing a small fortune. Mold can look many different ways, which depends on the type. Some are grayish-white or black and can look like a dirty smudge. If you’re in doubt that a spot is mold, you can do a test with chlorine bleach. Simply put a drop on the spot. If the color immediately fades away, you have mold. If you find mold, you know that you probably also have a water problem in your Westchester home. So first, you’ll need to find the source of the leak and repair it. After that, you can begin getting rid of the mold. A lot of people think mold clean up has to be expensive. The truth is that most mold problems can be eliminated with chlorine bleach. Bleach is a strong chemical, so for safety you’ll need to wear gloves, an air filter and goggles while you clean. Remember, when cleaning with bleach you need to work in a well-ventilated area, and never mix bleach with anything that contains ammonia. The CDC (Centers for Disease Control and Prevention) recommends using bleach to kill mold on hard, non-porous surfaces. Thoroughly soak the area in full strength bleach. Let it soak for fifteen minutes. Scrub the area with a mixture of one-part chlorine bleach, three-parts water and one teaspoon of dishwashing soap. Once everything has been washed, you’ll need to do another inspection of your home. Look for moldy papers, clothes or anything porous that could be a good home for mold. These things will need to be bagged and thrown away. Allow two to three days for the surfaces to dry. Then, continue to inspect the areas for mold re-growth, and pay attention for any moldy odors. 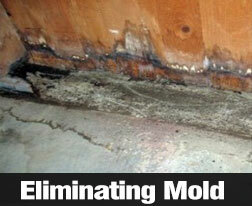 Congratulations, you have eliminated the mold problem in your home and saved a lot of money by doing it yourself. If you’d like additional maintenance tips or are looking to buy a new house, contact a licensed real estate professional right away! The Federal Reserve’s statement after yesterday’s Federal Open Market Committee (FOMC) meeting left no doubt as to the Fed’s dual commitment to keeping long term interest rates down and encouraging economic growth. 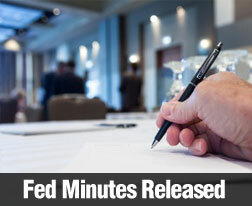 No changes to the Fed’s current bond-buying program were made during today’s FOMC meeting. The Fed’s monthly purchase of $85 billion in bonds and MBS works by boosting bond prices, which typically helps with keeping mortgage rates lower. The Fed reaffirmed its position that it will not withdraw or reduce monetary easing until the unemployment rate is substantially lower. Fed predictions for the national unemployment rate improved; December’s outlook for 2013 estimated the unemployment rate at between 7.4 to 7.7 percent; the Fed now expects unemployment rates of 7.3 to 7.5 percent by the end of this year. February’s jobs report likely influenced this revision as the unemployment rate fell from 7.8 to 7.7 percent. The Fed notes that while employment rates are improving, they remain elevated which supports the Fed’s decision not to modify its bond purchase program in the near term. Lower unemployment rates suggest that more people will be financially prepared for buying homes or refinancing their existing mortgage loans, and the unemployment rate is also expected to fall due to growing numbers of baby boomers leaving the workforce. The Fed slightly revised its December forecast for 2013 economic growth of between 2.3 to 3.0 percent. Now the Fed predicts economic growth to range between 2.3 and 2.8 percent in 2013, but negative influences including a higher payroll tax and government spending cuts are expected to slow the rate of economic growth. Concerning inflation, the Fed expects an inflation rate of between 1.3 and 1.7 percent this year and for inflation to remain below 2 percent through 2015. Lower inflation rates allow consumers more discretionary spending power, which can further boost the economy and improve consumer confidence in making big ticket purchases including homes and related items and services in New Jersey and around the country. Fed officers are continuing to monitor economic developments in Europe, and expressed concerns that the situation remains fragile. Commenting in a press conference held after the FOMC meeting, Fed Chair Ben Bernanke characterized economic issues in Cyprus as “difficult”, but said that the Fed doesn’t expect these developments to have major impact on U.S. financial markets. Its plan to keep short term interest rates near zero until unemployment rates reach 6.5 percent or the inflation rate exceeds 2.5 percent further support the Fed’s plan to keep its monetary easing policy intact for the near term. Unless unexpected or catastrophic events occur which would cause sudden or rapid economic changes, the Fed appears unlikely to announce major changes in its policy. The National Association of Home Builders (NAHB) released its NAHB/Wells Fargo Housing Market Index for March on Monday. The HMI measures builder confidence in the market for newly constructed single family homes. A reading of 50 for the NAHB Housing Market Index (HMI) indicates that more builders are confident of housing market conditions for new single family homes than those who are not confident. 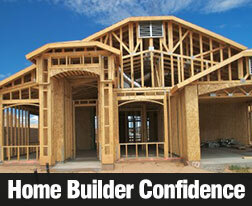 Home builder confidence fell for the third consecutive month with a two-point drop to a reading of 44 in March. Would-be buyers may find themselves stuck between a lack of buildable lots and ready building supply chains and lenders reluctant to risk mortgage defaults caused by lenient loan approvals. Keep in mind that this only one perspective; if you’re looking for a new home, don’t give up. The HMI also measures builder confidence in three categories including current sales conditions, sales conditions within the next six months and the amount of foot traffic in new housing developments. Confidence in current sales conditions dropped from 51 points in February to 47 points in March, but the news is not all bad. Confidence in sale conditions for the next six months rose by one point from 50 to 51, and builder confidence in buyer foot traffic rose by three points to 35. Foot traffic will likely increase as warmer weather arrives and the peak home buying season gains momentum. The three-month rolling average of builder confidence in four geographic regions of the U.S. showed mixed results for March. The index reading for the Northeast had no change and remained at 39. Index readings for the Midwest and Southeast declined by one point each to 47 and 46 respectively. The March index reading for the West came in gaining four points to 58. If you’re ready to buy a home, check with a licensed real estate professional specializing in the area where you want to buy. This is the best way to gain specific information on the Bronx area’s market conditions and home prices. Staging is the art of preparing your Westchester home for sale before showing it to prospective buyers. 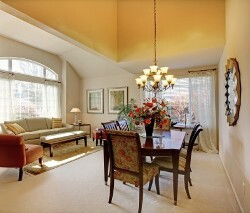 The point of staging is to highlight the house’s strengths, downplay its weaknesses and make it more appealing. With the right decorating techniques, you can win buyers over the moment they step through the door. 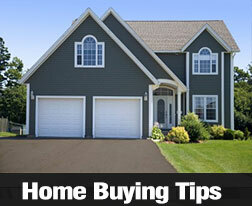 Below are a few staging tips to help make your house irresistible to potential buyers. The first step is to put away anything that is not essential. This will open up the house so that it appears more spacious. Even if you have to rent a storage unit, finding a new home for all of your family’s projects and collections should clear some space and help buyers imagine their own belongings in your home for sale. Pay special attention to entryways and narrow hallways to improve your prospective buyer’s sense of spaciousness. Be sure to clear off the things that gather on kitchen counters and surfaces, such as old magazines and stacks of mail. Also, emptying out your closets of half of the things inside them will make them look much roomier. Use this time as an opportunity to thin the number of largely unused items that your family has collected over the years. And look on the bright side; moving into a new house will be much easier after you have donated your unneeded items to a charity. You would be surprised by how much the sense of smell comes into play when buyers are viewing a house. To avoid turning buyers off with pet or smoke odors, make sure you give each room a deep clean, including the air vents and carpeting. Just covering up stale odors with air fresheners won’t do the job. Buyers are looking for spacious rooms with a lot of natural light, so make sure you open the blinds and turn on all the lights. If you have rooms that are a bit dark, you can add floor lamps to make them brighter or flowers to suggest sunlight. Home staging can make a big difference in how potential buyers see your home for sale, so make sure you set the mood to make it as attractive as possible.